My wedding photography coverage typically includes digital copies of the wedding photos which I deliver on a DVD disc readable by nearly every computer made in the past 5 years. I also provide a back up disc that I recommend the couple store in another location like a parent’s home or a safety deposit box. However, it is important to note that even the best DVDs have a limited lifespan, and for this reason, here are a few suggestions for making sure you will have photos of your wedding to show your children and even grandchildren. Prints – Finally, high-quality photographic prints which are available through professional photographers such as myself are a great way to “store” your wedding photos. They are designed to maintain quality for over 200 years in dark storage and over 100 years in typical home display. Of course these are susceptible to disasters such as flood or fire, so again, having some stored in another location is a wise decision. I absolutly agree with using online backup. It’s even better than using external HDD or USB drives. My external HDD was once damaged but luckily I was using SafeCopy backup (www.safecopybackup.com). Which really saved my life. It’s easy to use, I can even backup my external HDD and my USB now. I can also share files over 1GB easily. Plus I can use one account for all my computers. And has many more functionality that I couldn’t find on other online backup providers. Give it a try, it’s Great! that is a very good point. I’ve found that no matter how often I recommend my clients to backup their photos they never do. That is why I always have a few copies just in case. What online service storage provider do you use? True, that’s also why I give them 2 discs up front. I use SmugMug pro. Great idea on backing up photos. As well, that’s a pretty nice delivery case for your DVD’s. Love it! Where did you get those really cool CD cases? A company called Efectuality out of Canada. Hey, quick question. 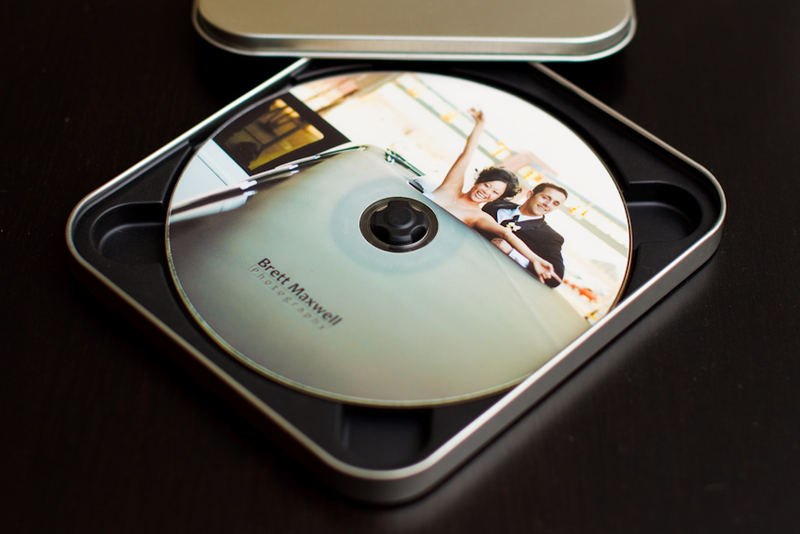 What software/hardware do you use to print the image on the CD you give to your clients?